The Blackstar HT Stage 60 212 MK II Guitar Amplifier Combo & FS-14 Footswitch Bundle is the all-singing, all-dancing package that every gigging guitarist has been waiting for. Following the success of their award-winning HT Venue series, the team at Blackstar didn't just sit on their hands. Instead they took all the feedback offered up by guitarists, and sought to improve upon an already accomplished design. The result is the HT Venue MK II models including the HT Stage 60 212 MK II, which features upgrades across the board. This bundle comes with the FS-14 footswitch controller, which enables you to access all the features of your amp for a truly dynamic performance. The Blackstar HT Stage 60 212 MK II boasts a pair of ECC83s and a pair of EL34s, a high-powered partnership that creates a heady combination of crunch and warmth. There are three footswitchable channels to choose from, with each channel boasting two voice options to give you an impressive six footswitchable voices. The boutique-style clean channel offers two modes - 'British Class-A' and 'dynamic US', with expanded tone controls for you to pull whatever kind of tone you can imagine from this beauty. 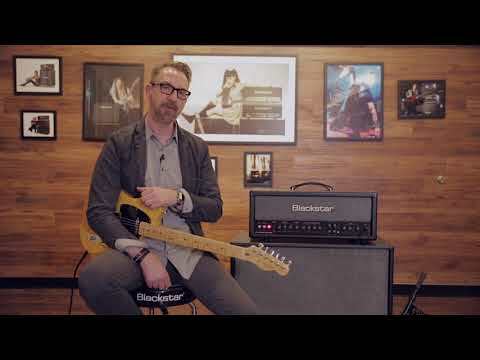 When performing live, the Blackstar HT Stage 60 212 MK II boasts a cool Celestion speaker that translates the sweetness of your tone transparently. However, you also have 1x16/1x8 or 2x16 Ohm options for connecting to external speaker cabs if you fancy a bit more juice. At the other end of the spectrum, you can reduce the power output to 10% of the total output to gain full wattage power and tones at a significantly lower volume output - perfect for laying down chops in the studio or practising at home. If you fancy going one step further when practising, you can output to a pair of headphones.